In 2014 alone, 38,000 people headed to Australia from the UK. 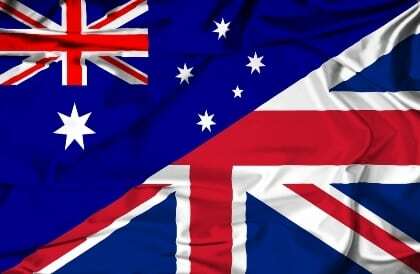 Today, about 5,3% of Australian residents are British nationals. Australia is home to around 1,3 million British Citizens according to a United Nations report, making it the number one destination for Brits to emigrate to since 1996. This is quite a significant number, considering that only a mere 135,000 Australians currently live and work in the UK. The British Office for National Statistics tracks the number of moves from one country to the other every year and determines the motivations of the migrants. 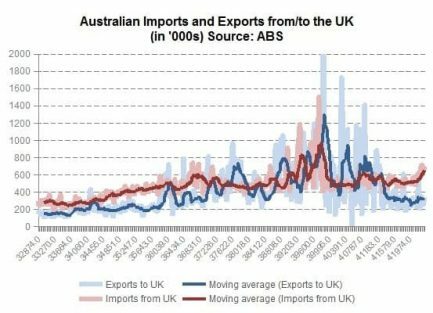 For the past 15 years Australia has seen a continuous net immigration from the UK, which has of course also affected currency flows. Migration from Australia to the UK has remained fairly steady, especially since 2007, but Britain potentially leaving the EU as well as new visa policies are creating a lot of uncertainty for Australian expats. While many Britons move to Australia under the Retirement Visa scheme, Australians predominantly come to the UK to work, study or explore Europe for a few years. Both groups generate GBP/AUD currency flows, ranging from trade to Foreign Directs Investment (FDI) as well as repatriation flows. Retirees often purchase real estate in Australia, while workers tend to repatriate their earnings and savings as some point in time. Australians that have worked in the UK for longer periods of time are also likely to purchase investments such as real estate when they return home. Whether or not they make a good deal on their Australia to UK International transactions depends on various legal, tax and trade agreements between the two nations, the prevalent economic conditions as well as the simple factor of timing. 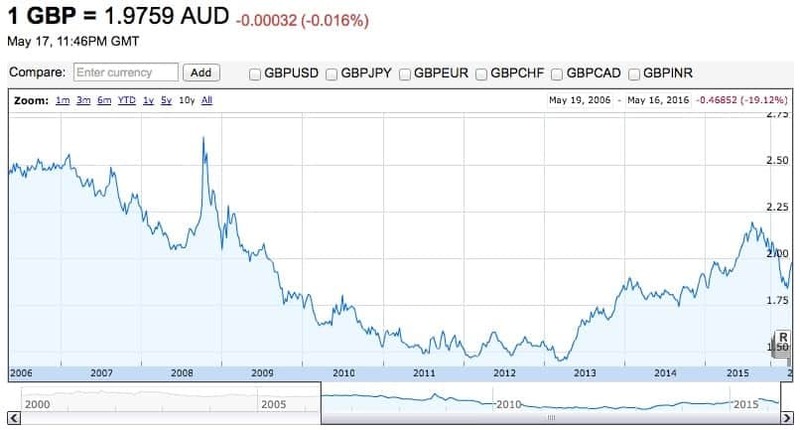 The GBP/AUD exchange rate fluctuated significantly over the past 10 years. 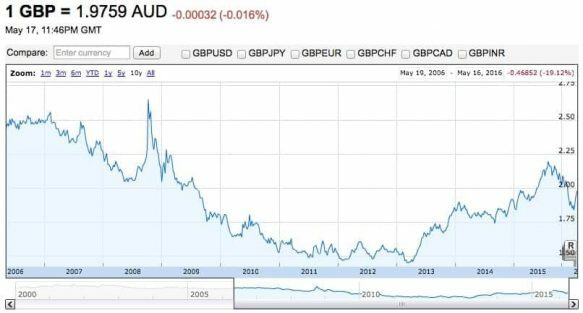 The 2008 financial crisis shook the global currency market and led the Australian Dollar to soar up to a high of 2.65. The 55,000 Britons that moved to Australia during that year and simultaneously transferred their assets were able to make a good deal, so did the returning Australian expats that repatriated their savings. While the strong AUD in 2010-2012 made it relatively hard for British citizens to move to Australia for retirement, this development did not seem to particularly affect the number of Australian expats moving to the UK. A new visa law that recently came into effect may force non-EU workers earning less than GBP 35,000 per year to leave the UK again. Young Australian workers currently living in Britain may be forced to return home under this new directive. This change in may affect thousands of Australians in the near future and the economic conditions of their return will be strongly influenced by the prevailing exchange rate at that point in time. At the moment, the biggest issue for the British economy is actually a political one – the nation’s decision whether or not to remain in the EU. The big upcoming event that is likely to affect the FX flows between The UK and Australia is the result of the referendum on whether Britain should remain in the EU or leave. Also known as Brexit, this decision will be made by the British population on June 23rd, 2016. The uncertainty surrounding this event has already led to a weaker pound in 2016. 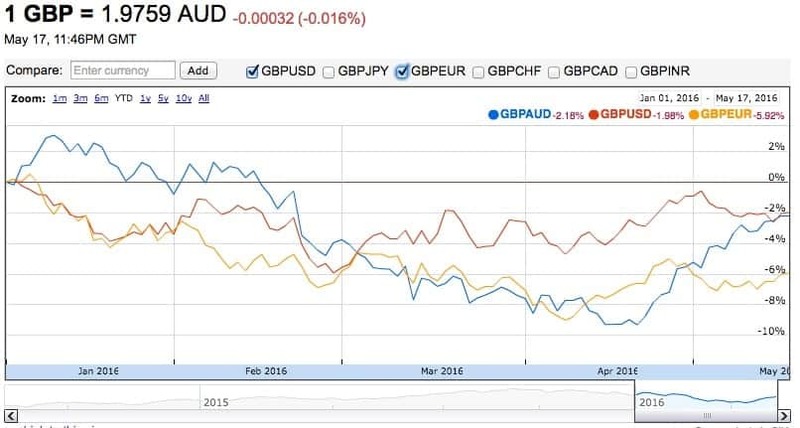 The Sterling lost 2.18% to the AUD, 1.98% to the USD and a whopping 5.92% to the EUR. Once the Brexit referendum has been completed, the currency markets are likely to react in a volatile manner in either direction, which is likely to affect the currency flows from between the two countries throughout 2016. Many analysts believe that a Brexit will weaken the GBP and the British economy, at least in the short run. Financial investors and businesses would be less willing to invest in the UK for a while due to the legal and financial uncertainty caused by ending many of the EU agreements that the UK is currently part of. This would also harm Australian expats currently living in Britain when they repatriate their earnings. On the other hand, a Brexit could mean new agreements on free trade and the freedom of movement between the UK and Australia. Many campaigners in favor of the UK leaving the EU point out that the EU has isolated the UK from the Commonwealth nations and that this trend should be reversed. In case the British people vote to remain in the EU, the GBP is likely to recover and investment flows are likely to return to normal. For the AUD this could mean a reversal back to the levels of 2015, which would most likely have a positive effect on FDI from UK investors and boost Australian expats in the UK. Regardless of the short-term effects of major events like the 2008 financial crisis or the Brexit referendum, there has been a strong and long-standing tradition of investment and trade between Australia and the UK. British individuals, corporations and financial institutions have been investing in Australia and for decades and the UK is an almost equally popular destination for Australian investment. According to a study on Foreign Direct Investment by the Department of Foreign Affairs and Trade, Australia and the UK have very strong economic ties. The UK accounts for 14.7% of Australia’s Inward FDI stock (in second place after the US with 25.3%), and is the second most popular destination for Australian outward FDI (10.2%). In terms of trade, Australia has traditionally been a net-importer of UK goods with exchange rate fluctuations and seasonal effects temporarily impacting this relationship. Considering the importance of the UK as a trade partner and investor and the fact that thousands of British citizens migrate to Australia every year and thereby significantly affect FX flows, it is likely that the positive FDI trend and the currency flows associated with it will continue. At this point in time, Britain’s decision whether or not to remain in the EU needs to be awaited, since it will have a significant short- and medium-term effect on the GBP/AUD exchange rate and the economic relations between Australia and the UK.